Made by a Mom in Seattle, IMPWEAR introduces an oil cloth collection that’s just right for kids of any age! Back in 1992, creative Mom Tracy Krauter stared making a line of reversible wear for her three active boys. She called it IMPWEAR and sold what she calls the “quality hand-me-downs” at local street fairs. Made in the USA. 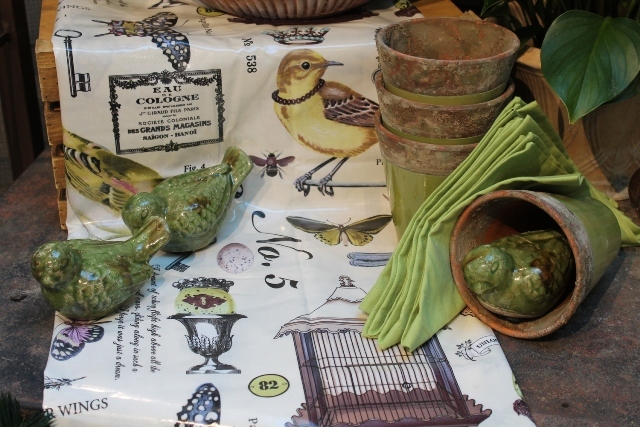 Now, Tracy and her IMPWEAR crew are making aprons, tablecloths, reversible bags and more, made from a versatile oil cloth. It’s the fabric that excites. The lightweight fabric has a polyurethane coating that’s BPA-free, PVC-free, phthalate-free and toxin-free, which means it’s not only safe for food, but safe for kids, too. “This ‘oil cloth’ comes in the same zesty prints with irresistible draping and washability,” Tracy says. 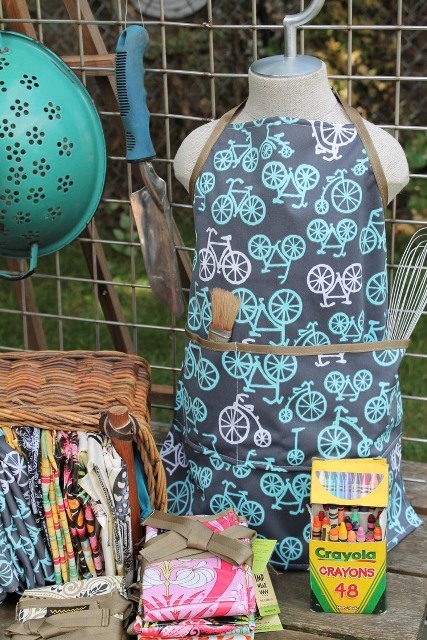 Perfect for any kitchen, garden shed or kids playtime, IMWEAR’s oil cloth collection is available online at www.impwear.com, at local shops and market events and wholesale –great for gift shops, catalogs or garden nurseries (I especially like Tracy’s yoga mat bag!). Giving Back. Tracy was a park ranger in a former life, and believes in the value of untouched wilderness for our kids. In support of her cause, IMPWEAR donates 10% of each sale to non-profit organization Forterra, the largest conservation and community building organization in Washington State, dedicated to protect, enhance and steward the region’s communities and landscapes.